The simple cables in this pattern look like cute little caterpillars! 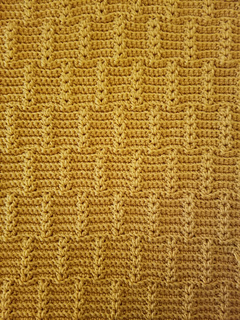 It’s an ideal pattern for a baby blanket or larger throw. You may use yarn and hook of choice. 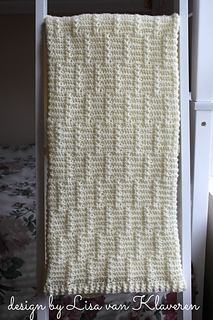 Sample blanket was made using approx. 1500 yards of a sport weight yarn and crochet hook size H (5.0 mm). Blanket may be made to any finished dimensions. 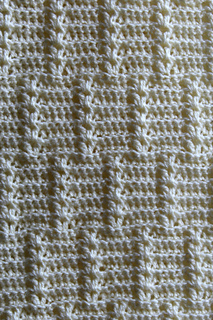 Sample blanket measured approx. 30” x 38” including the ribbed edging.